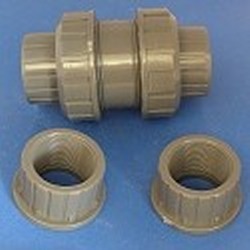 Our selection of unions with FTP ends will fit PVC pipe sizes ranging from 1/2-inch to 2-inch diameters. 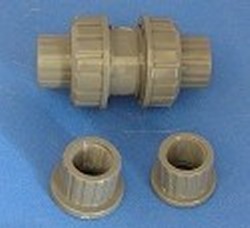 Plastic ball check valves offer a flow-efficient design and contain a spherical ball that blocks the reverse flow. 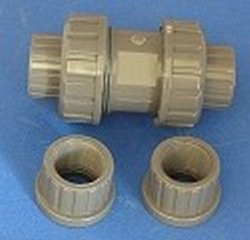 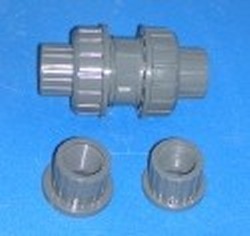 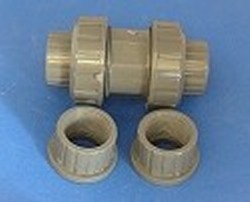 These PVC ball check valves are imported.